Born in 1883, Napoleon Hill started his life in poverty, but would become what many consider to be the founder of the modern personal development movement. Spending his youth in a one-room cabin in rural Virginia, Napoleon went through many upheavels, including the death of his mother at the age of 10. When he came into adolescence, Hill began writting for small town newspapers, and the earnings derived from this work helped him pay his law school tuition fees. This success lead to the real watershed moment in Hill's life: an assignment given him to interview industrialist Andrew Carnegie in a series of biographies on famous men. Carnegie at the time was one of the richest men in the world, and he told Hill that he felt success could be channeled into a simple formula that could be utilized by anyone. Impressed with the young interviewer, Carnegie commissioned Hill to interview over 500 millionaires so that he might formulate the key elements of success. The project lasted over 20 years, during which Hill served as Carnegie's advisor while interviewing diverse figures such as William H. Taft, F.W. Woolworth and Charles M. Shwab among others. The product of this intensive study was published in 1928 under the title "The Law Of Success" and later elaborated on in Hill's most famous work "Think and Grow Rich", published in 1937. After publishing numerous books and lecturing on the mechanics of personal success, and the importance of a positive mental attitude, Hill's status as the innovator of a new field began to grow. As of this writting, "Think and Grow Rich" has sold 37 Million copies worldwide and is one of the holy grails in self-help literature. By the time Hill passed away in November 1970, he had created a vast legacy that has imparted the laws of personal achievement, self-motivation, and sound leadership to a new generation of self-help teachers. The most obvious place to begin with Napoleon Hill's work is "Think and Grow Rich". Here Hill extolls to readers that success is not an accident, it’s a habit. Throughout this inspirational masterpiece, which has influenced men and women on every continent, Hill gives examples and detailed analysis of how hundreds of exceedingly wealthy people earned and maintained their fortunes. This is an audio book that is sure to inspire you, motivate you, and enable you to make your dreams come true! Next up we suggest "The Law of Success Vol. I", the first in a four volume series that covers in depth the laws that one can utilize for personal achievement. The first volume dubbed "Principles of Self-Mastery" represents an in-depth discussion of Napoleon Hill's first four principles of personal achievement-the foundation upon which personal success is built. Finally there's "Your Right to Be Rich". This is a rare collection of original recordings in which Hill shares the success secrets he learned from the achievers who influenced him -- Carnegie, Edison, Ford and the other legendary leaders of the early 20th century -- and the common set of universal principles that Hill discovered at the root of their success. All of these titles work to reiterate the basic truths Hill found while researching what became his life's work. Now you too can benefit from what Hill collected and start upon your way to a level of success that you may have assumed was unthinkable. LearnOutLoud.com is happy to help you unlock your potential with the help of Napoleon Hill. 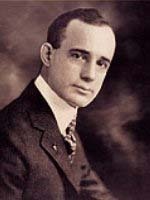 Napoleon Hill, born into poverty in 1883, began writing as a reporter for small town newspapers while just a teenager. Industrialist Andrew Carnegie commissioned him in 1908 to interview over 500 successful men and women to help prove his theory that success could be distilled down to a clear-cut formula. This audio editon of the undated Think and Grow Rich clearly spells out Hill's thirteen principles of success using real examples from his inside knowledge of the rich and powerful. Earl Nightingale said that he came to his aha moment at the age of twenty-nine while reading Napoleon Hill's Think and Grow Rich - specifically the words we become what we think about. The Master-Key to Riches is the blueprint that Napoleon Hill placed in the hands of those who would teach and perfect his success methods. In 1938, just after publication of his all-time best-seller Think and Grow Rich, Napoleon Hill revealed that he had broken the Devil's Code, forcing him to confess his secrets. Think and Grow Rich is the number one Inspirational and motivational classic for individuals who are interested in furthering their lives and reaching their goals by learning from important figures in history.